Hire a Portable trade home DIY toilet direct to your home or for your project. A Trade Home DIY Toilet or mains connect toilet can be available for the duration of your project. New bathroom, got the builders in and need a trade home DIY toilet, then you've come to the right place. 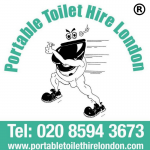 Please contact our team at Portable Toilet Hire London the trade home DIY Project. The portable toilets are delivered to your location in London, Essex and the surrounding areas.